The Institute of Chartered Accountants in England and Wales recently hosted its fifth annual Middle East Accountancy and Finance Excellence Awards. The ceremony was held at Jumeirah Beach Hotel in Dubai under the patronage of H.H. Sheikh Nahyan bin Mubarak Al Nahyan, Minister of Culture, Youth and Community Development for the UAE. Organised by ICAEW, the Institute of Chartered Accountants in England and Wales and with the support of The British Embassy in the UAE, the gala event is a preeminent awards programme for accountancy and finance professionals in the region. 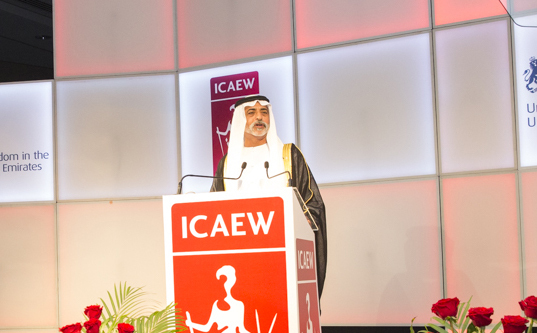 H.H Sheikh Nahyan bin Mubarak Al Nahyan opened last night’s proceedings with a keynote address in which he praised the efforts of ICAEW in contributing to the development of accountancy and finance professionals in the region. There were awards across 12 categories, including the prestigious Business Leader of the Year award. Among the winners were: Sajjad Haider, Founder of Sajjad Haider & Co. for Outstanding Contribution to the Profession by an Individual; Sayyida Rawan Ahmed Al Said, Managing Director and CEO of Takaful Oman Insurance for Business Leader of the Year; Hemant Joshi from NASS Group for CFO of the Year; and Zafar Husain Rizvi from DSR Professional Training for ICAEW Chartered Accountant of the Year. Industry professionals from across the Middle East attended last night’s gala event, which included keynote addresses from Andrew Ratcliffe, ICAEW President, and legendary BBC chief news correspondent Kate Adie, OBE. Winners were selected by a judging panel comprising nine of the region’s most respected industry professionals. The judging committee this year were: Bashir Siman OBE; UKTI Special Representative to the UAE for Financial Services; Dr. Hadi Shahid, Founder & Managing Partner of Alliott Hadi Shahid; Dr. Jeanette Vinke, Senior Lecturer at the American University of Sharjah and advisory board member of ICAEW Middle East; Mark Beer OBE, Chief Executive and Registrar of the DIFC Courts; Dr. Sameer Al Ansari, Founder and CEO, PE+ Capital Advisors; Stephen Williams, CFO of Gulf International Bank; Steven Ralls, Senior Principal, Financial Audit & Examination, Abu Dhabi Accountability Authority; Surya Subramanian, Group Chief Financial Officer, Emirates NBD; and Umar Saleem, CFO, DEPA. 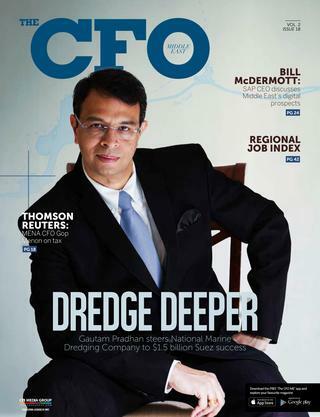 Outstanding Contribution to the Profession by an Individual – Sajjad Haider, Founder, Sajjad Haider & Co.